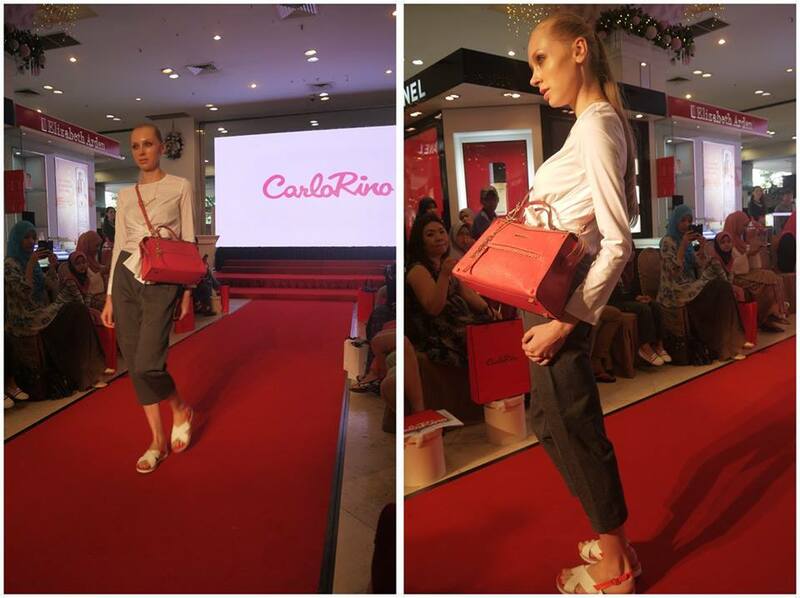 Happy 30th Anniversary to our beloved Malaysian Fashion Brand – Carlo Rino! In commemorate with this great milestone, they had organized the Whimsical Wonderland Fashion Show at SOGO KL last month. 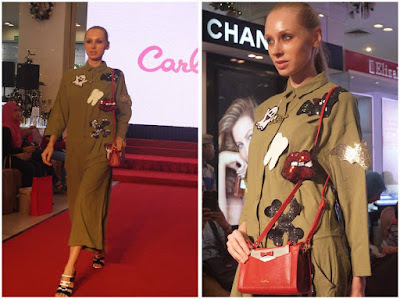 Opened to public and media, Carlo Rino’s Whimsical Wonderland Fashion Show has showcased their latest collection consists of pretty colourful accessories, bags and shoes. Carlo Rino dedicates itself to produce timeless and fashionable pieces that can elevate any woman’s day into a special one. This season’s colourful pieces are made in hopes that it would make a woman’s day whenever they hold on to a Carlo Rino bag or slip on a pair of Carlo Rino shoes. In this season, Carlo Rino’s highlight is the watercolour series. This range features bags of various shapes and sizes made from synthetic material with microfiber trim. Needless to say, these bags are light-weight and are perfect for the busy working lady who needs everything in her bag. The pretty bags are wonderful for the working ladies who don’t want to be weighed down by heavy luggage. 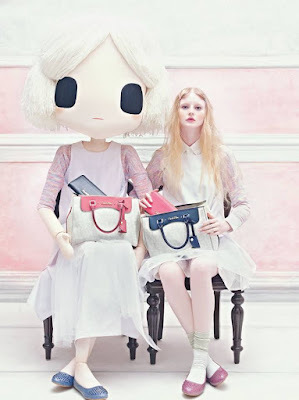 The range also includes purses made with the same synthetic material but trimmed with leather. Are you looking for something that brings out the fun personality in you? This patchwork range made with satin leather trim may just be the range for you. This pretty tote comes with a shoulder strap and it’s just perfect for those days when you need another pair of hands for other things. It is decorated with a city skyline patchwork or even whimsical clouds. It is finished off with a pretty Carlo Rino charm. Make this your bag your personality bag! Put something unidentified on your bag! This quirky tote plastered on with an adorable UFO is a favourite this season. It is not just a tote, it also comes with a fancy shoulder strap and it is perfect for the fashion forward ladies who need extra space in their bags for their daily necessities. It’s also wonderful for all occasions, making it the one bag that can make you stand out from the crowds. If it’s something classic you’re looking for, this amazing microfiber and leather trimmed bag is the one for you this season. This short strap classic shape tote is adorned with a pretty Carlo Rino flower charm and despite its size this lightweight bag is wonderfully spacious and has space for almost everything! Also in the range, two full leather purses in bold red and mysterious black. The range is definitely something worth checking out. We love surprises and this structured bag is filled with it. First the hidden stitching of geometric pattern… It’s amazing for those who prefer something subtle as it can only be seen up close. Second, we are absolutely in love with the safety feature of this bag as it comes with an extra buckle inside to secure the inner zip where you can stash important documents for safekeeping. Comes together with a detachable shoulder strap for alternate styling according to your mood of the day. Something simple doesn’t mean it’s something boring. These colourful shoulder slings are the perfect embodiment of quirky and playful everyday bags that is well-suited for every occasion. It’s got a glossy finish that gives it the extra detail. It’s spacious and light, and we think it’s also great for travelling and shopping! 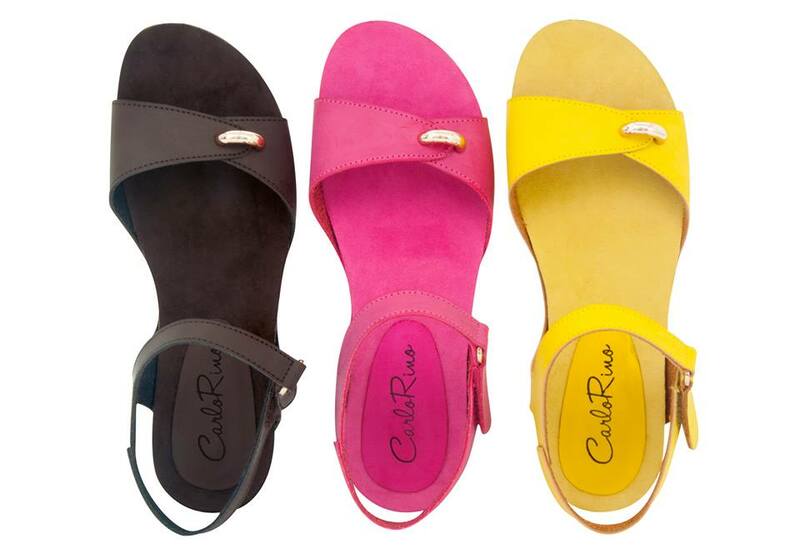 This season’s sandals are pretty colourful! Made with you in mind, the design focuses on giving our fashionistas a fine balance of aesthetics and comfort. Walking long distance should not be a problem with these sandals. It comes with elastic straps for easy slip-on wearability. Be assured that it’s the perfect pair to bring along for your travelling days! It’s not the year end collection without some boots. This season, boots are high enough to give you height and made perfect to wear with skinny jeans anytime, anywhere and for all occasions. We love that wearing boots can automatically push up the power a few notches up. It’s all about how you stand up against your challenges. Made especially for who wish to strike a difference, this range is perfect for those special occasions. Made with a shining finish, your man will be looking sharp when these shoes are paired with ankle pants. Take a step in these shoes today and feel the difference. 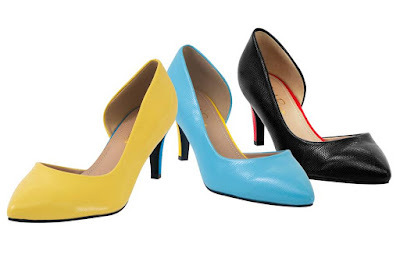 A well-dressed lady wearing a pair of ill-fitting shoes or mismatched shoes is a terrible fashion faux pas. Carlo Rino understands this and in every season, and they design comfortable, stylish and elegant shoes to go with your daily looks. In this season, they have something for work and also for play. It’s a passion that only a woman can understand. 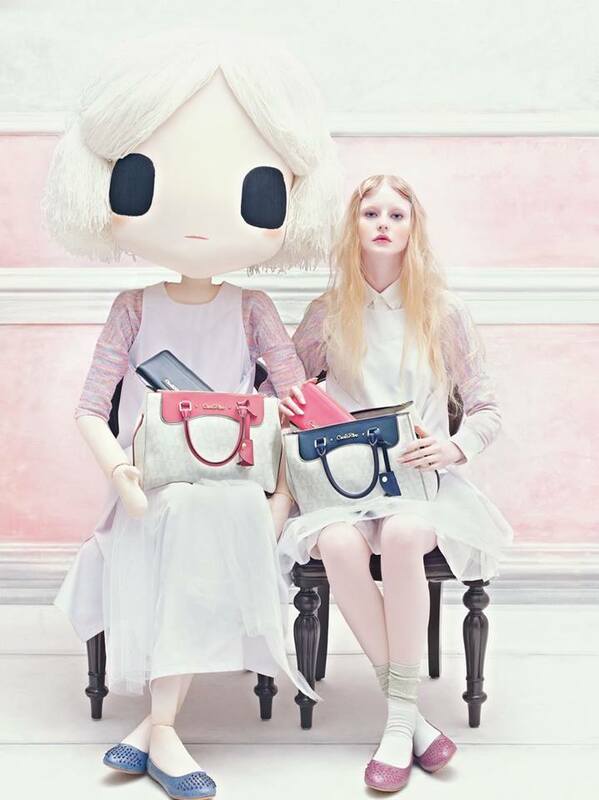 We are in love with Carlo Rino’s chic and colorful design in Whimsical Wonderland range. They are not only pretty but very practical to use as well. What’s better is Online shopping is available with FREE delivery now! Logon to http://shop.carlorino.net/ to shop online now! 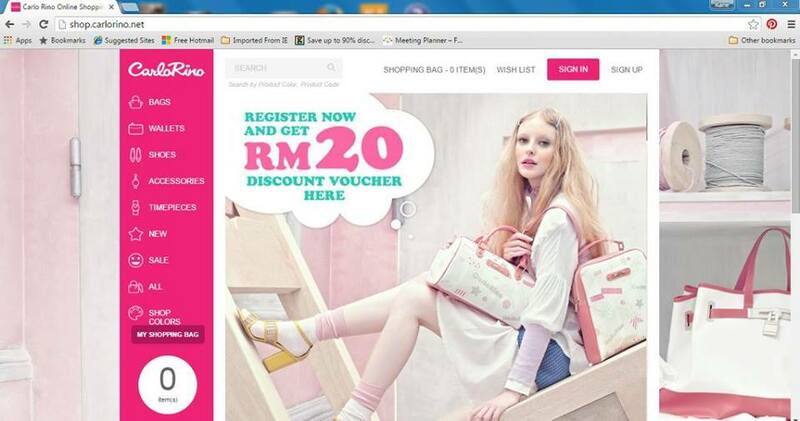 We have bought some bags for this CNY Online and we love their speedy and effective delivery. Enjoy your shopping, xoxo! The collection is superb! So beautiful and stunning! The ads is so beautiful! All the bags are too nice la. Should i get one for myself. hmm.. I love the Carlo Rino bags. Looks stylish and suitable on me. I like the ankle boots too but decided to get the sandals instead because I will wear the sandals more often. It is great to see that the brand is evolving and making it bigger nowadays! Coongrats! The bags looks good and stylish. I've never owned a CR bag before but wouldn't mind getting one that looks like this. i never had any carlo rino before. but that boots is gorgeous! they do make rather quality , and colourful choices of bags!